You might have noticed that getting to Europe these days is cheaper than its ever been. And yes, Europe's a beautiful continent to visit, but ticking more far-flung destinations off your bucket list can still be prohibitively expensive (looking at you, Asia). However, if you act fast, it's possible to jet quite literally around the world for a fraction of what it would typically cost you. That's because right now, roundtrip flights to Singapore from the States are barely more than $400. 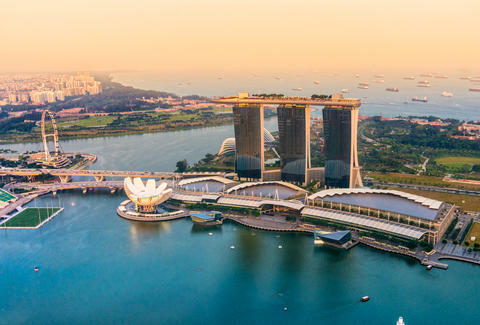 These incredibly inexpensive flights depart Newark Liberty and arrive at Singapore Changi airport (usually with one quick layover at LAX), and are available for a variety of travel dates between now and mid-December. So, if you can manage to finagle some time off between now and Christmas, this may be the perfect trip for you. To snag a ticket before they're gone or go up, your best bet is to peruse Google Flights (here's a sample search to get you started). 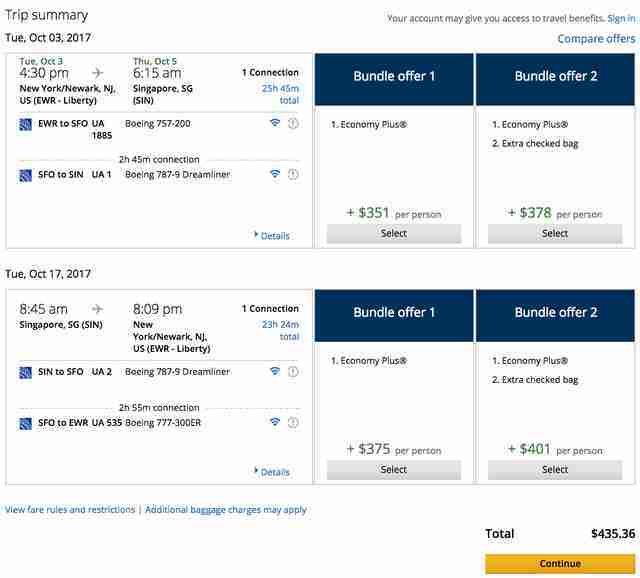 At the time of this writing, the cheapest available roundtrip was on United in October for just $436, or roughly half of what it would normally cost. Whether or not Singapore -- one of the world's best food cities -- is actually on your bucket list, or even on your "maybe" list, these flights are some of the cheapest you'll likely ever find from the contiguous US to Asia. And considering the storied city-state's proximity to places like Thailand and Malaysia, you could easily get to and from many other countries on the cheap, and turn your trip into one big Southeast Asian tour.